Q: I purchased this a couple of weeks ago and put it in a cabinet. I just noticed the "Keep Refrigerated" on the label today, I haven't opened the jars. Are they still safe to eat? A: As long as they were below 85 degrees fahrenheit you should be safe to enjoy them. 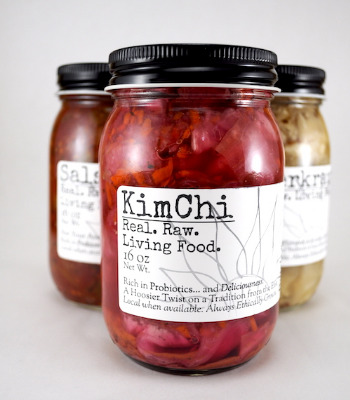 Traditionally fermented foods are aged at room temperature (55-75 degrees) for months, even years! They likely continued to ferment which results in a more developed flavor (like aging a fine wine) and possibly some gas build up (safe but open over a bowl in case its super active)! Taste them and see if they are still to your liking and feel free to contact us (on the label) if you have any more questions or concerns! Thanks for reaching out and Enjoy! January 10th, 2019 person_outline Nora G.